There's nothing better than a good horror movie. But it's easy to get so distracted by the blood-and-guts or the psychological nightmares that you don't really take the time to analyze what might have been going on in the filmmaker's head. It's a horror movie, after all, not Shakespeare, so it's understandable. But fortunately, there's plenty of people on the internet who do exactly that sort of thing, and they've come up with some ideas that make some of our favorite horror movies even more horrific … and some of our childhood favorites into horror movies. Donnie Darko is a cult classic, and if you try to tell us Frank didn't give you nightmares, then we know you're a liar. Released in 2001, it was a cult hit mostly because no one knew what the heck it was actually supposed to be about. It's one of those movies that sticks with you, leaving you puzzling over what you just watched, and honestly? There needs to be more movies like that. 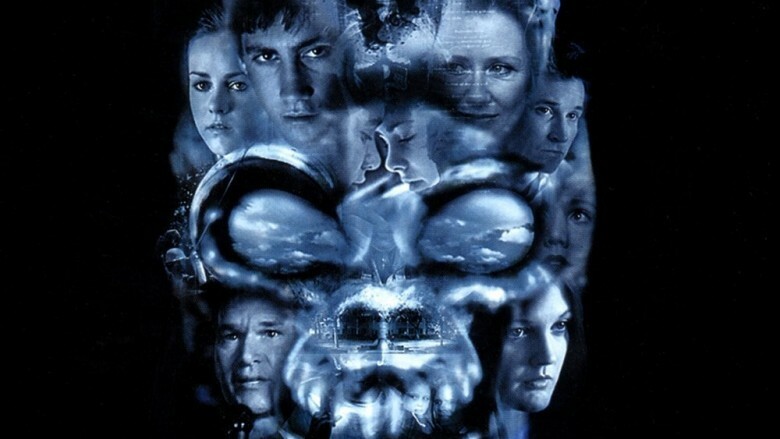 Because the internet is a thing, that means that over the years since Donnie Darko's release, there's been a huge number of fan theories about what's going on. Was he dead the whole time? What was a hallucination? Was part of this out of a separate universe? All great ideas, but there's one theory that suggests the message of the entire movie was actually a condemnation of drunk driving. The theory started on Reddit, when a user argued that the movie's message about drunk driving is pretty clear, if you listen to it. The Halloween carnival is even sponsored by MADD — Mothers Against Drunk Driving — and then, of course, there's the reveal of Frank and the death of Gretchen, after she's hit by a car driven by someone who, it's safe to say, was driving drunk. There's undertones of abuse, too, as we know Gretchen and her mother just escaped an abusive step-dad/husband. If you think it's far-fetched, writer/director Richard Kelly was asked about the theory around the film's 15th anniversary, and he didn't disagree. He said, "I'm very against drunk driving, and if people want to take that away from it, I hope people call an Uber." That's not a "no," and we can get on board with that. Yeah, right, you're saying already, because you've already read the title for this one. If you tried to pick two movies with as little in common as possible, Home Alone and the Saw series would be legitimate choices. Only, not so fast. 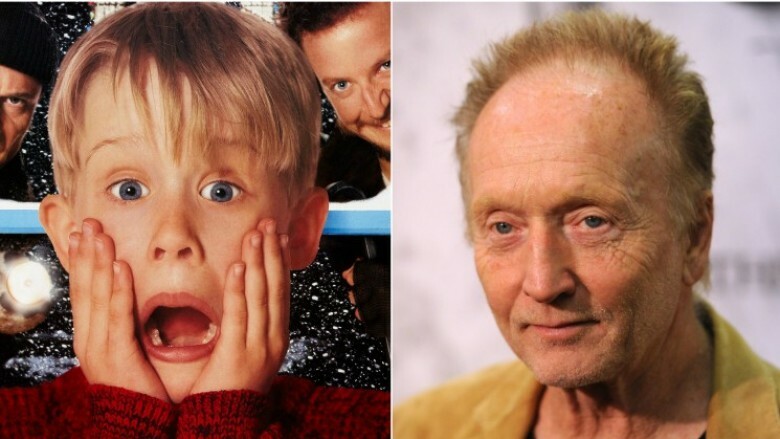 There's a fan theory that suggests the Home Alone movies are the origin story of Jigsaw, and it makes both franchises so much cooler to think they're linked. Let's look at Home Alone not as the charming, money-making holiday movie, but for what Macauley Culkin's Kevin McCallister really is. He's got some serious anger issues (understandably, as he's from a family that pays so little attention to him that they forget to take him along on major vacations — we're not talking a trip to the store here). Before they even forget him he's attacked his cousin (though we'll give him a pass on this one — it's legit). Later, he threatens an unsuspecting pizza boy, records his uncle in the shower and later uses said video for not-cool ends. He sets a whole series of elaborate traps designed not just to protect his home, but to do serious damage to would-be burglars … traps that are triggered by the victims. Sounds familiar, doesn't it? You remember that whole thing as a delightfully clever and slightly hilarious part of the movie, we're sure. But when Dr. Ryan St. Clair from Weill Cornell Medical College weighed in with his professional opinion on just what kind of damage the traps would have done, we're talking some pretty permanent damage. Remember the blow torch to the head? That would cause burning down to the skull, and require a transplant to fix. That's right, people: a skull transplant. The iron to the face does just as much damage, and that would really shatter your face. Now, add in his hallucinations (especially the furnace monster, which can arguably be said to make an appearance in Saw II), and his obsession with his neighbor, who he's convinced is a serial killer who keeps his mummified victims. Heck, Macauley Culkin and Tobin Bell even look alike. We're sold. The ending of Stephen King's The Mist was one of the most gut-twisting things we've ever seen, and it probably came with stunned silence or a bit of cursing when you first saw it. They were so close to being rescued, and those bullets? They weren't necessary. If he'd waited only a few more minutes … and he was going to have to live with that for the rest of his life. A good movie leaves a lasting impact, and we're betting that even now, you couldn't tell us what you would do if you were sitting in that car, in that moment. But there's a theory, one that makes it only slightly less depressing. When the group was trapped in the grocery store, they were joined by the town's resident religious nutter, Mrs. Carmody. She went on and on about how they were doomed, but she also said that she needed the blood of human sacrifice, and got shot herself when she got a bit too grabby, demanding they be "given" Drayton's son. You know, the one who dies right before the mist lifts? Mrs. Carmody's demands don't go well for her, because seriously, she comes off as completely insane, and what rational person is going to agree to hand over their son to these knife-wielding nutjobs? But what if she was right, and Drayton's execution of his son was what raised the mist? What if they had handed him over at the beginning? What the heck kind of God does she worship, anyway? If you're looking for films with deep, hidden meanings, The Texas Chain Saw Massacre probably isn't on any list, no matter how long it is. But some believe it's actually an incredibly gory commentary on animal rights, the horrors of animal slaughter in the meat industry, and, ultimately, why you should probably give vegetarianism a chance. In case you've forgotten some of the details, the Sawyer family — which includes the infamous Leatherface — are actually from a long line of slaughterhouse owner/operators. There's animal bones all over, after all, and you hear the sounds of animals, even though there's none there. One of the characters even describes just how animals are slaughtered, and when the Sawyer family finally sits down to a meal of people, they make animal noises at their final victim. PETA wrote about the movie being one of the biggest films ever made in support of vegetarianism, and even though you might not want to believe PETA, director Tobe Hooper even said that he stopped eating meat when they were filming. "In a way, I thought the heart of the film was about meat; it's about the chain of life and killing sentient beings, and it has cannibalism in it, although you have to come to that conclusion by yourself, because it's only implied." He goes on to say that Guillermo Del Toro went vegetarian after seeing the film, and if you can freak out Del Toro enough that he makes a major lifestyle change, we're guessing your mission was accomplished. There were two schools of thought when The Blair Witch Project came out: some people honestly bought the idea that it was real, found footage, and the other group had a headache. The shaky camera work meant there was a lot that was out of focus or just blurry, and people who sat through the whole thing a few times started forming their own theories about what was going on out in those woods. One of those theories suggests that the original trio weren't lost, but couldn't find their way out because they were caught in a time loop. The biggest piece of evidence in support of that idea was the then-Sci-Fi Channel's Curse of the Blair Witch, and if you watched that during the hype that built up the release of the movie, you'd know that the house that our three clueless heroes stumble into had burned to the ground in the 1940s. Of all the possible explanations (that include some serious continuity problems, or the possibility that they were trying to set the movie in the 1930s, badly), the idea that there's some kind of time warp out in the woods is, believe it or not, the most logical. Whether or not they had that idea from the beginning, it's not clear. But in 2016's Blair Witch, their characters know for a fact that there's something not right with time and the continuity of the reality they're experiencing. And that's even more terrifying than the idea they were just idiots, or murderers, or that there's a real Blair Witch. How do you fight a time warp? When we first saw the trailers for Cabin in the Woods, we admit it. We cringed. It was like every single trope was stuffed into one movie, and seriously, Joss Whedon, we expected so much more. Did you lose a bet? What's up with this thing? Fortunately, Joss Whedon didn't sell out, and we find out later that the whole thing is set up by a group of creepers called Facility. According to one fan theory, Curt's in on it the whole time, and working for the creepers. Curt — also known as Thor — is the one that leads the proverbial lambs to the slaughter (and he's popular enough to get all of this group of complete misfits to go with him). Take a rewatch, and you'll see that he might have done a few questionable things — like getting his girlfriend alone, so she can die — and maybe not doing all that he probably could have to get them out alive. Sure, he dies, but it's definitely not the first time someone's been double-crossed. There's another theory that brings you into all this, dear audience, and it's not a flattering one. If Facility is responsible for keeping the old gods appeased with their sacrifice of teenage blood so they stage a show for those gods before giving them their sacrifices, isn't that a metaphor for exactly what filmmakers are doing by giving you the movie to watch? The Facility are the movie-makers and the writers, and they're appeasing you by giving you the blood-and-guts show you want. You heathens. We know, 1971's Willy Wonka & the Chocolate Factory is supposed to be a kids' movie. That explains a lot about an entire generation, really, if they think that terrifying descent into the depth of Wonka's chocolate factory was suitable for kids. And that brings us to the theory. The chocolate factory isn't actually a candy factory at all, it's Hell, and that boat ride is the trip across the River Styx. Listen to the words of Wonka's song (if you can hear it over the sounds of screaming children, that is). "There's no earthly way of knowing, which direction we are going…" and then, "Not a speck of light is showing, so the danger must be growing. Are the fires of Hell a-glowing? Is the grisly reaper mowing? Yes!" Well then. The theory says that it's all based on the idea of Dante's Inferno, which sends our narrator on a journey through the circles of Hell. Each circle contains a different punishment, and those condemned to suffer there are segregated based on their crimes. Here, the punishments really do fit the crimes … just like the punishments that are dished out for each of the thoroughly obnoxious children. And admit it, you cheered — or gloated, at least — a little bit when each of those miserable kids met their end, and we're not sure if that makes you a better or worse person based on this particular theory (which we totally believe). The Scream series is a classic. We know, there's enough of them. But the original set of movies were enough to make any teenager look at their peers with a bit of suspicion, and to be fair, it was probably all rightfully deserved. We eventually find out that there's been two killers on the loose the whole time: Billy Loomis and Stu Macher. Pretty straightforward, but one theory says that there were three. Roman Bridger explains who he is at the end of Scream 3: he's Sidney's illegitimate brother, and he first showed up in town before all this killing stuff started happening. When he did show up, he was shunned by his mother … and if you've ever seen an episode of Criminal Minds, you know that's just the sort of thing that'll kick off a killing spree. And according to him, that's just what happened. He's the one that plotted to destroy everything, and sent the two long-accepted killers off on their spree … while he joined in, every so often. If you take a rewatch and look for continuity errors, you'll find a couple major ones that could be explained away by a third killer. The best little Easter egg that hints at just who that might be happens in the grocery store, when the reflection of the creepy masked killer appears over a brand of ice cream, conveniently called "Romantica." That just can't be an accident. Signs had such potential, but for a lot of people, it was derailed when the weakness of the mysterious invaders was revealed to be water. The idea that these highly advanced aliens would choose to invade a planet that's mostly made up of exactly what they're vulnerable to was too big of a plot hole for many, but there's one theory that says we're looking at it completely wrong. According to this one, they're not aliens at all — they're demons. The religious overtones are there right from the beginning, when we find out that Mel Gibson is playing a preacher who lost his faith after his wife was killed in a random accident. That's the heart of the film, suggesting some things — like the water glasses left around the house and not-Macauley's asthma — aren't random at all. But if they're demons, the glaring plot holes start to close up. It's not just water that Bo's asking for, it's holy water. Her father says that when she was born, he thought she was an angel. We know, every new parent tells this to anyone who will listen, but there might be something to it in at least one case. Bo's odd name is from the Old Norse "Bua," which means "to live," and then there's that line that everyone laughed a bit nervously at. Ha, there's a monster outside her window, and she's thirsty! Crazy kids! But it's possible that she might know something that no one else does, in spite of all the talk about losing and finding faith. The possibility they're demons and not aliens also explains away why we never see any technology, why there's no spaceships, and why they're on this water-filled world in the first place. We wanted to like Signs so much, we're totally on board with this one. Once you hear this one, you won't be able to unsee it. Drag Me To Hell wasn't about demons at all: it was all in the overactive imagination of a starving woman who was struggling with an eating disorder. Bear with us. The problems start when banker Christine denies an old woman's application for a loan. She's cursed, and shenanigans happen. But watch closely, the theory goes, and you'll see that there's a constant connection being made between food and the appearance of the demon that's haunting Christine. Most damning (get it?) is Christine's admission that her mother was sick, and a photo of her as a child — an overweight child — in front of a sign that says "Swine Queen." That's enough to mess anyone up, much less a child, and most of the horrible things that happen to Christine can be connected to an eating disorder. She's constantly being vomited on, getting arms — and things — forced down her throat, and there's a huge number of people eating and drinking through the entire movie … except for Christine. Once you watch with that in mind, it's almost impossible not to see. Just check with the eyeball in the cake. One IT theory that might give you more heebie-jeebies than the movie itself is the idea that Pennywise the Clown/Spider/Beam-of-Deadly-Light is actually double-dipping as another creepy villain: Killer Bob from Twin Peaks. Moviepilot offers plenty of evidence that the two might be one. For one thing, they're literally both named Bob. Yes, in the original Stephen King book, Pennywise mentions that his real name is Robert "Bob" Gray. And of course, Killer Bob is named Bob. Though it's true that both are ageless, supernatural beings whose true given name likely isn't "Bob," it makes you wonder why both characters chose the same innocuous pseudonym for spreading evil on Earth. If the name thing isn't enough, there's the fact that they're both interdimensional beings. 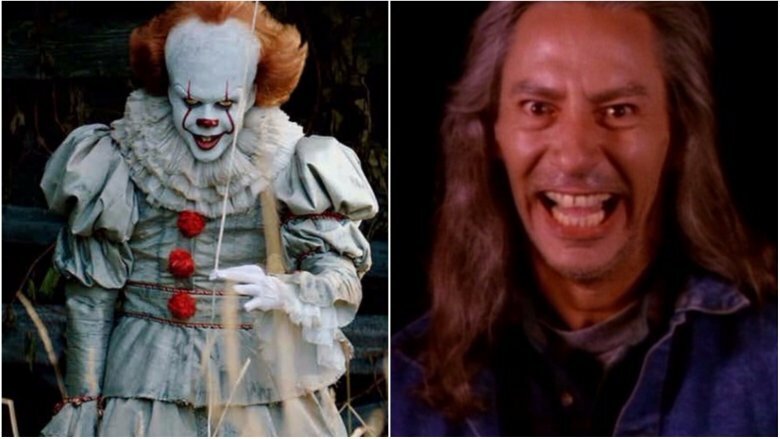 Killer Bob came from the Black Lodge, while Pennywise came from the Macroverse. Since we humanoids only know of our own dimension, there's no reason the Lodge and the Macroverse can't be the same. Further similarities include how both can shape-shift. Pennywise can assume many different forms, while Bob tends to inhabit other beings. If they're the same, it's easy to surmise Pennykiller Bob inhabits the souls of other people, not to mention giant spiders. To top it off, they both feed on fear and suffering, like Monsters Inc. without all the cutesy kid stuff. So while this theory may or may not be true, you might want to be cautious the next time you meet someone named Bob. 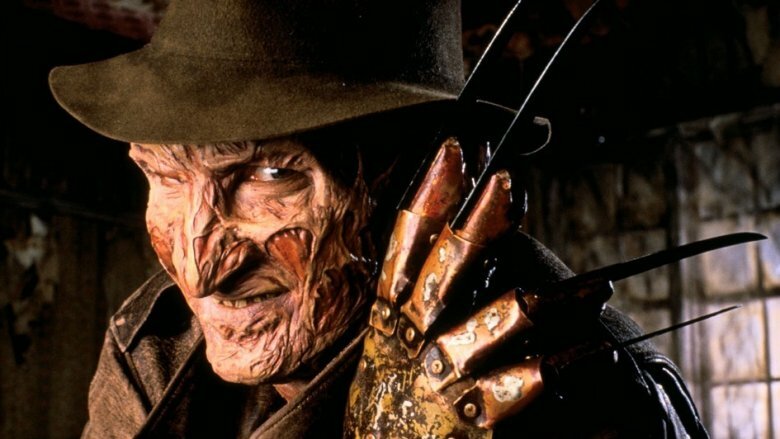 In the original A Nightmare on Elm Street, the premise is that Freddy Krueger is a vengeful ghost using the dream realm to murder the children of the people who had killed him. This is a pretty straightforward motivation, but in the course of its infinity sequels, Freddy definitely ends up killing some kids that had nothing to do with his death, and then also like some shower murders. Maybe these are just for fun, but maybe he had another motive? Also, in Freddy's Dead we learn that the powers that Freddy gained from the demons are 1) to enter dreams and 2) to be eternal. Not to stretch his arms like Inspector Gadget or turn into a TV or become a giant phallic snake. Where does he get these powers? There is a theory that tries to answer both of these questions. Since we know dream warriors exist and that Freddy takes the souls of the children he kills, what if Freddy absorbs the powers of the children he kills? This would explain why Freddy becomes more and more powerful over the course of the series (if you don't like sequelitis-fueled power creep as an explanation) and also why he would kill kids unrelated to his death, as well as why he does so in such outlandish ways. The idea that Freddy might be after anyone and that his power will only increase over time definitely turns him into more of a threat, but do you think he killed a kid with pun-based powers somewhere after the second movie? 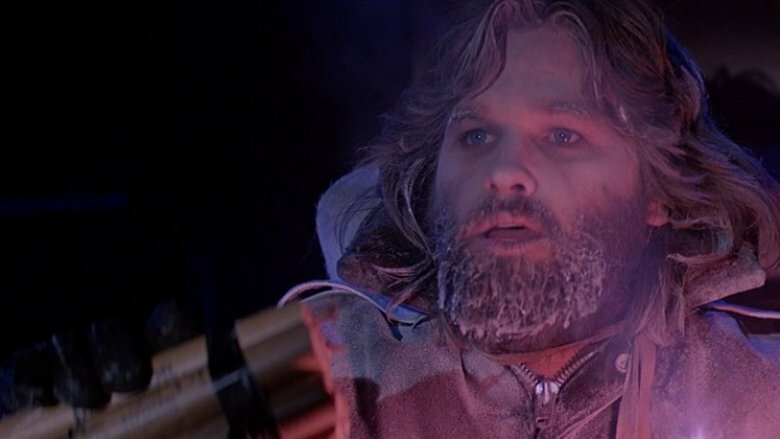 John Carpenter's The Thing is one of the scariest movies of all time, thanks in no small part to the fact that neither the characters nor the audience can believe their eyes. A shape-shifting alien monster means death could look like anyone or anything, even someone you previously thought you could trust. Paranoia and suspicion hang palpably in the air. What could be scarier than that? Well, what if there were two shape-shifting alien monsters? The premise of this fan theory is that there are in fact two different creatures: one that is introduced in the form of the dog, and one that is the corpse taken from the Norwegian site. But an interesting twist to the theory is that they're not working in tandem, but rather against each other. Thing 1 versus Thing 2, like a nightmare The Cat in the Hat. This theory presumes that the alien spreads infection through saliva (like the dog licking Bennings) and that's why there are so many conspicuous scenes of people sharing bottles. This means that MacReady is Thing 1 and did the blood test to flush out Thing 2. The final scene shows a laughing, victorious Thing 1 in the form of MacReady handing his bottle to an about-to-be-infected Childs. This, of course, contradicts the very popular theory that Childs is the Thing and that MacReady hands him not a bottle of Scotch but a Molotov cocktail as a test, but Kurt Russell has basically shot that one down anyway. Alfred Hitchcock's Psycho is one of the most significant influences on John Carpenter's Halloween in part because the earlier film moves its setting away from the archly gothic castles and crumbling mansions that had defined the previous decades of horror into the mundane world of roadside motels. Carpenter took this even further by taking costumed knife murder into the suburbs. What's more, Carpenter wasn't afraid to wear this influence on his sleeve, borrowing character names from Psycho and applying them to his own characters, most notably in the form of Dr. Sam Loomis, Michael Myers's psychiatrist who shares a name with Marion Crane's boyfriend in Psycho. But what this theory presupposes is, what if he didn't borrow that name? What if the two Sams Loomis are one and the same? 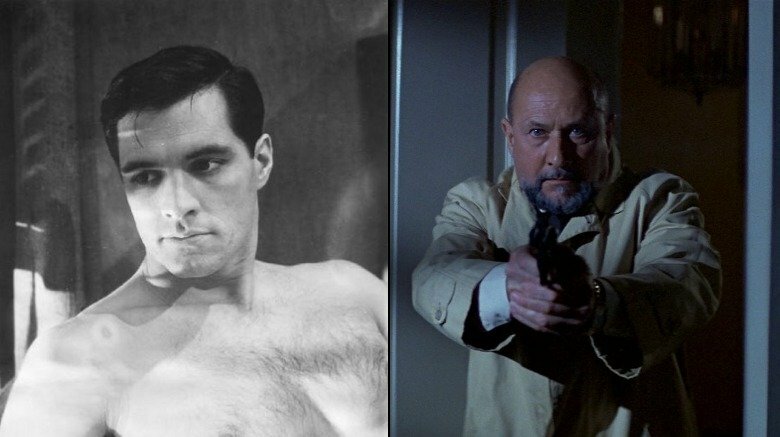 The original Loomis is, of course, the one who catches Norman at the end of Psycho and puts an end to his murder streak. (Well, until the sequels.) What if the death of his girlfriend at the business end of a psychopath's knife inspired Loomis to try to stop anyone else from experiencing the pain he felt by nipping slashers in the bud, so to speak? He goes back to school, gets a degree in psychiatry, moves to Illinois, and one of his first patients is a little boy in a clown costume who just murdered his own sister. This makes Loomis's story all the more tragic and makes his occasionally extreme reactions to Michael more understandable because they're more personal. Neil Marshall's 2005 film The Descent is one of the best-regarded horror films of the 2000s, due in no small part to effectively using its cave system setting to evoke a real claustrophobic reaction in its audience from the dark, cramped tunnels and pathways through which the protagonists must squeeze and crawl. In fact, for some viewers, this horror movie would be scarier if it were just about getting lost in some caves and there weren't any freaky, mutated cave monsters in the movie at all. Well, uh, what if there weren't? This particular theory proposes that the crawlers who dominate the latter portions of the film don't actually exist, and that the dead spelunkers are all killed by a hallucinating Sarah, the film's central character. Hallucination is, after all, a recurring fear in the movie, especially in the U.K. ending, in which Sarah deludedly thinks she has escaped, only to wake up in the cave (the U.S. ending also involves a hallucination: Sarah actually escapes the cave but sees a phantom of a dead caver in her car). Furthermore, we see Sarah kill five crawlers, which lines up exactly with the five cavers who are killed. The whole trip is, after all, meant to help Sarah overcome the trauma she experienced following her last caving expedition, but what if instead it triggered something much worse? Could it be that the descent of the title is not just the physical descent of the women into the earth, but also Sarah's descent into a trauma-induced, tragic madness? All right, so, this particular theory stands out because it bears some (pun alert) haunting implications for the real world. 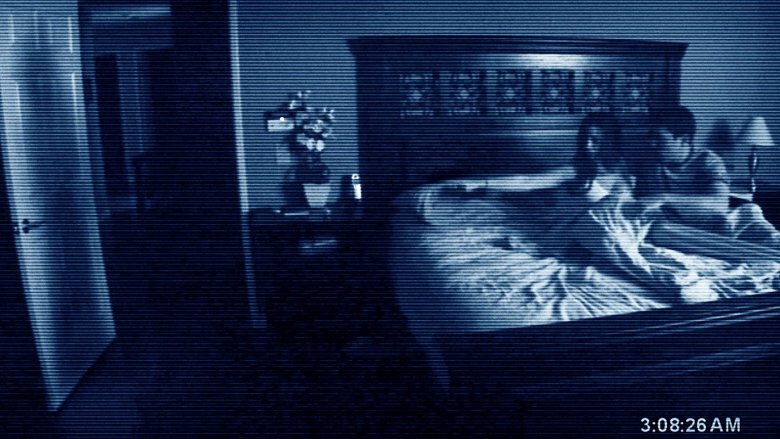 The Paranormal Activity franchise was hugely successful, with the first film having been made for a mere $15,000 and earning $193 million at the box office, a return of well over 1 million percent. It naturally spawned a host of sequels: five domestically and one in Japan. How did Oren Peli, a first-time director whose previous work experience was primarily in software programming, manage to make one of the most profitable horror franchises in history? The demon that haunts multiple families across the span of the Paranormal Activity franchise shows both that it knows when it is being filmed and also that its power increases when people are aware and afraid of it. This theory, then, presumes that the demon is real and also that the footage of the Paranormal Activity films is, as the movies themselves claim, authentic. Oren Peli made a deal with the demon in exchange for wealth and success (like for example a majorly profitable film franchise), with the understanding that Peli would bring the footage in front of international audiences, scaring innumerable millions and thereby greatly increasing the demon's power. Although we can't possibly know what the demon wants to do with its newfound power, it can't be worse than what Peli did with his, which was to make Chernobyl Diaries. That's an atrocity worse than claiming a few first-born sons. So how do you make history's scariest movie even scarier? 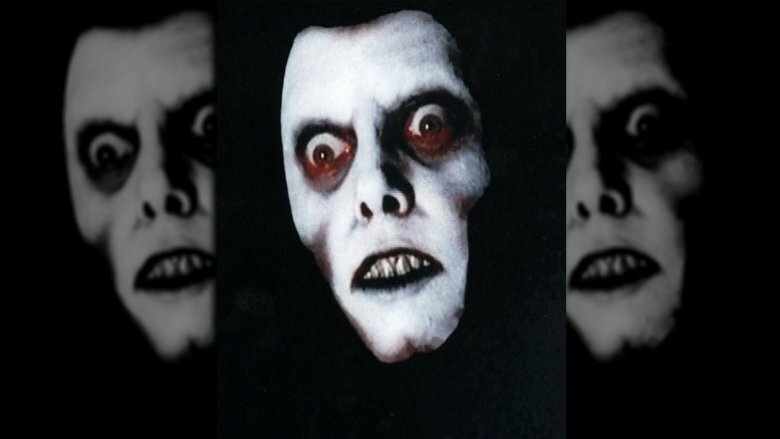 One theory suggests that the demon (identified as Pazuzu in both The Exorcist novel and the better-ignored-than-acknowledged sequel Exorcist II: Heretic, but only given the name Captain Howdy in the first film) has an even greater influence than is popularly believed. At one point in the film, Father Karras is confronted by a homeless man who asks him for money, surprising him. Later on, Pazuzu repeats the homeless man's words to Karras via the possessed Regan. While the obvious interpretation is that Pazuzu is using the man's words simply to torment Karras, this theory poses the idea that the homeless man was in fact a demonic agent of Pazuzu, and Regan's repetition of his words is meant to communicate to Karras that he is always being watched. This also neatly ties up the question of how Pazuzu knows about Karras's mother: She doesn't have to have ended up in Hell for Pazuzu to have information on her if he has spies on Earth reporting to him. A well-informed demon is a demon with a bigger arsenal to torment someone. Among horror fans, the Evil Dead franchise is one of the most beloved film series in the history of the genre, with its protagonist Ash frequently named in the same breath as horror icons such as Freddy Krueger and Jason Voorhees. But it's also one of the strangest franchises in the genre's history, as the tone of each successive film — not counting the 2013 remake/sequel (an ambiguity which is already a tradition within the franchise) — is more comedic than the previous one. The first Evil Dead is played pretty straight and almost entirely for scares, with trees doing things trees oughtn't do, but by Army of Darkness, Ash is dropping quotable one-liners and doing full-on Three Stooges routines. While the real-life explanation for this tonal shift is that Sam Raimi and the other creators of the series felt that comedy came to them more easily than straightforward horror, what if there were an in-universe reason for things becoming more cartoonish as time goes on? One theory has an idea on this: Ash is progressively losing his mind more and more over time. 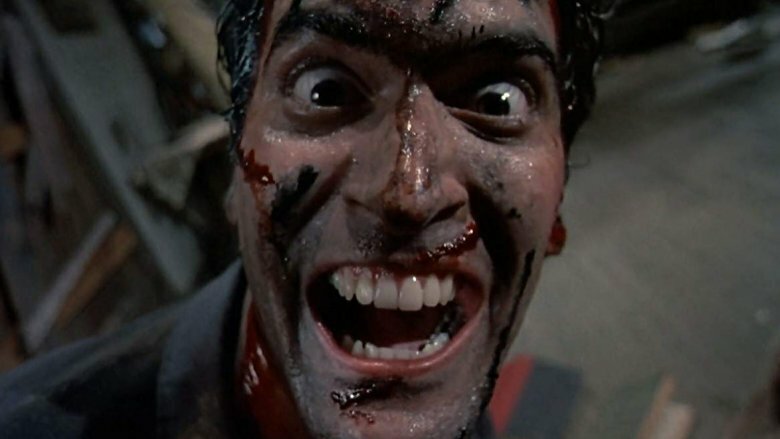 You can practically see Ash's mind snap in the first half of Evil Dead 2, and from that moment on, things start to get sillier. Not only do the scenarios get more bizarre, but Ash also begins to become so detached from reality that he stops fearing the deadites as much as he should, and so they start getting depicted as increasingly bumbling and clownish. This theory certainly gives Army of Darkness a darker sheen.